Limes are hybrid citrus fruits commonly used in bringing out the flavor in other foods. But did you know that these can also bring out the healthy person in you? Limes are powerhouses when it comes to nutrients and since they’re available throughout the year, it only means you won’t run short of the health benefits they offer. Limes deserve to get more attention because they’re highly beneficial to the body. While they’re mostly used as sides on various dishes, they need to be placed in the limelight (get it?) because of their impressive medicinal uses. There are so many things limes can help you with: digestion, constipation, eye care, weight loss, peptic ulcer, respiratory disorders, scurvy, piles, gout, and urinary disorders among others. Deficiency in vitamin C can lead to scurvy, a disease that’s characterized by cracked lips, ulcers on the tongue and mouth, and bleeding gums. The solution to this is to infuse the body with enough vitamin C, which is abundant in limes. 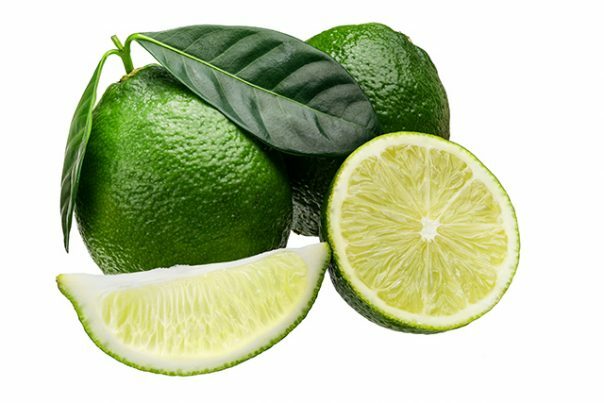 The distinct scent that comes from limes helps digestion by initially triggering digestive saliva in the mouth. Its natural acidity then help break down food molecules and floods the system with flavonoids, which help stimulate the digestive system. At the same time, acids present in limes help with constipation. The American Diabetes Association also recognizes lime as a superfood that helps regulate the body’s absorption of sugar into the bloodstream. This decreases the chances of blood sugar spikes, which are not good for diabetics. Limes have high levels of soluble fiber that are also helpful in lowering blood pressure and reducing bad cholesterol in the body. Soluble fiber is useful in reducing inflammation in the blood vessels, which can lead to heart attacks and strokes. They are also rich in potassium, which is effective in getting rid of toxic substances from the body. These toxins can form deposits in the kidneys and urinary bladder, which can lead to urinary disorders. They can also cure infections because of their disinfectant properties. Losing weight is another benefit of limes. For those who work out, lime juice can have significant impact on your progress because of its antioxidants. Cholera is a dangerous disease and limes are great in protecting you from its deadly effects because they serve as an effective disinfectant. Limes are also useful in treating arthritis, gout, peptic ulcers, fever, and piles. Limes are good for the entire body. Let’s start with the eyes. Since they’re packed with vitamin C and other antioxidants, limes are perfect in protecting the eyes from aging and macular degeneration. The flavonoids also help in keep your eyes infection-free. These are also good for the heart. The fiber responsible in staving off diabetes is the same soluble fiber that will lower blood pressure and get rid of bad LDL cholesterol in your system. It will minimize inflammation of the blood vessels so you’re not at risk of suffering from a stroke, heart attack, and other heart ailments. For those with coughs and other respiratory problems, the peel of lime can give immediate relief from congestion and even nausea. Citric acid found in this citrus can help clear out uric acid from the body, providing relief from arthritis and other discomfort caused by inflammation. Let us not forget the skin. Lime juice and the natural oils extracted from it are great for rejuvenating skin. Whether applied topically or taken orally, these will protect your skin from infections and clear the skin to give it a glowing look. The high concentration of vitamin C will also help you get rid of body odor. The list doesn’t end there. Limes can also be useful for treating sore throat, hiccups, skin sores, corns, acidosis, flatulence, allergies, and insect bites. Aside from the common uses for lime, like juice, dressing, and salsa, you can also try using it as glaze for chicken, roasted tofu, flavor for noodles, margarita, sorbet, or pies. Here are some recipes that should inspire the chef in you. Aluminum in deodorants can cause breast cancer! Try lime instead & house to use? Limes provide relief from cough and other respiratory problems. Limes promote healthy and beautiful-looking skin. Limes can prevent diabetes, heart attacks, stroke, and heart diseases. Limes promote eye health and protect you from infection. Limes are helpful in burning fat and maintaining weight. Limes benefit the liver more than lemons. They make for a great cleansing eye wash.
Limes have average antibacterial and antioxidant qualities.